The team won a gold medal each in the group, trio and pair categories. The group gold was won by Tran Ngoc Thuy Vi, Le Hoang Phong, Vuong Hoai An, Nguyen Che Thanh and Nguyen Viet Anh. 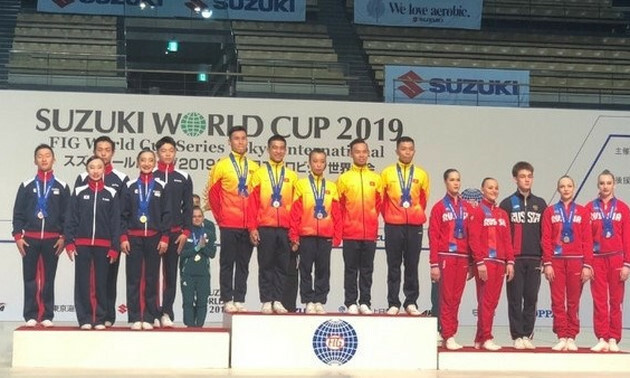 Thai Trinh Hong Phu, Nguyen Quynh Nhu and Hoang Gia Bao won the trio gold in the 15-17 age group, while Thai Trinh Hong Phu and Huynh Tien Phuoc took the pair gold, also in the 15-17 age group.